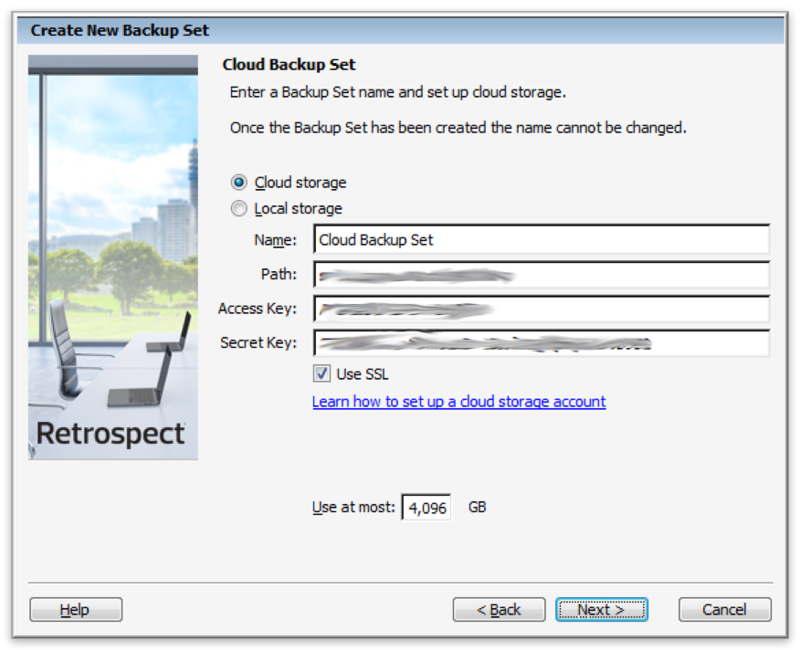 Backing up to Cloud Storage with Retrospect is easy. Let's walk through it step by step. Next you'll need to enter your cloud storage credentials. You'll need to set up a cloud storage account first. This account will give you a URL (i.e. "s3.amazonaws.com/your_bucket_name", "storage.googleapis.com/your_bucket_name") to your new storage location, an "Access Key" (similar to a user name), and a "Secret Key" (similar to a password).